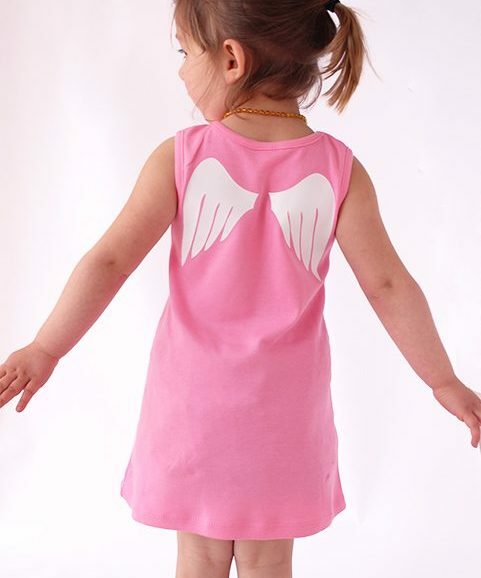 This pretty kids T-shirt with quirky butterfly wing print to the back will be sure to see your child finding their wings. Snuggley white cotton to keep your little butterfly comfy & cute. Long sleeved pretty top to keep little arms cosy. Quirky bright blue & black butterfly wings to back which your little one will adore. The butterfly wing print stays vibrant wash after wash.
FREE UK P&P, International delivery available. 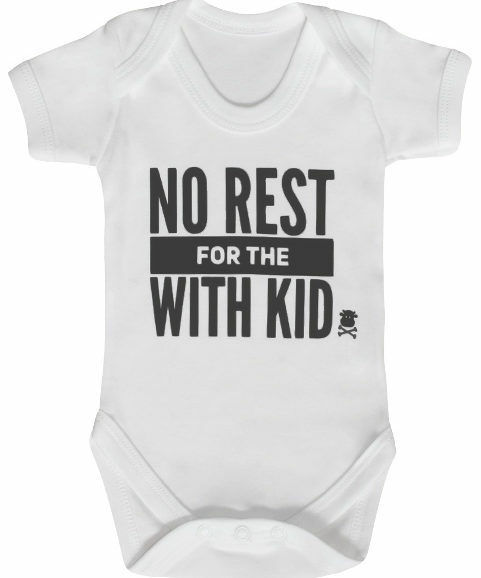 There is zero risk you’ll be boring anyone in this Never mind inspired punk baby grow, there is no excuse not to punk up your baby’s epic look with this awesome baby vest. 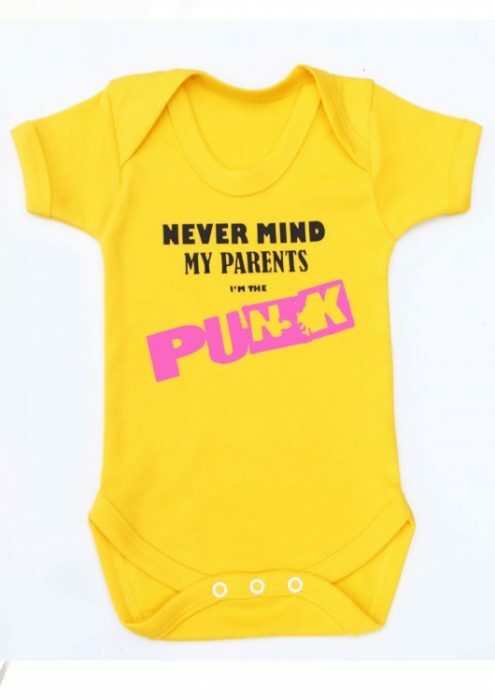 Keep your newest punk addition cool & comfortable in this vibrant yellow baby grow. 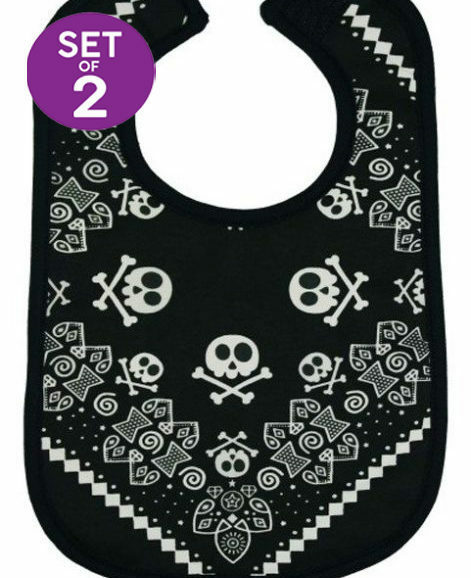 This baby vest packs a punk punch with its funky punky print. 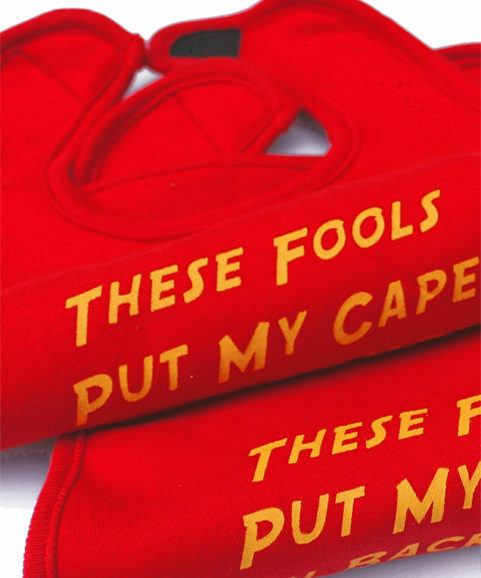 Professional print reads ‘NEVERMIND MY PARENTS I’M THE PUNK’ inspired by probably the most famous punk album ever! Made in the UK, just like punk was! 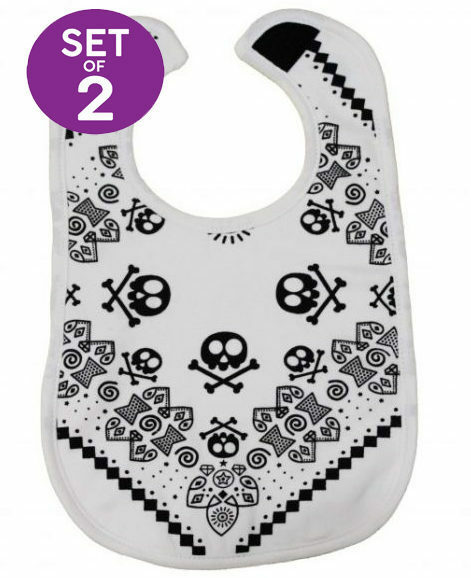 These cow baby bandana baby bibs are udderly eye-catching & sure to make your baby look cute until the cows come home, all the other bibs can mooo-ve over! 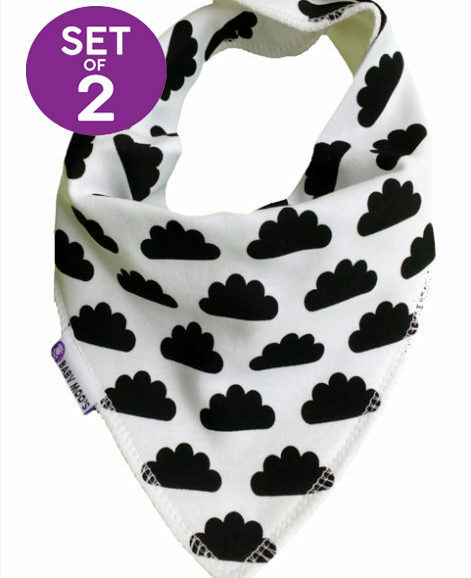 Award winning cow print dribble bibs. 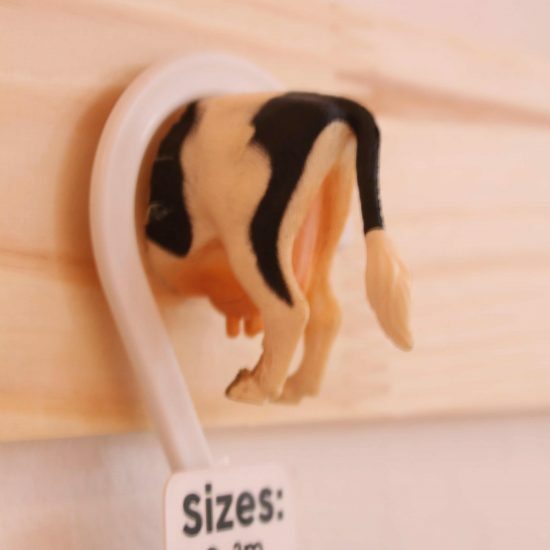 Gorgeously soft & absorbent cow print cotton front. 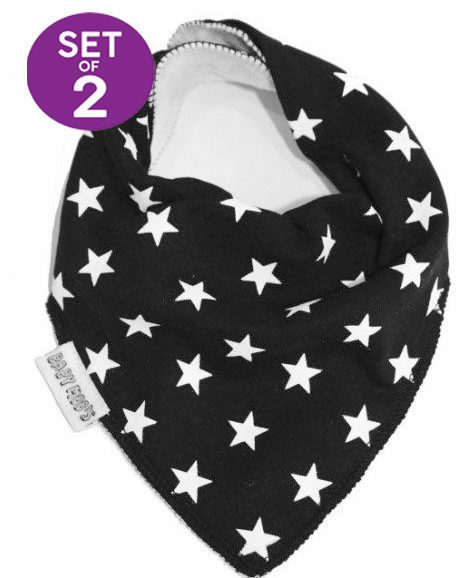 Almost magical polyester stay dry back that keeps baby’s chest dry & saves you tons of laundry! 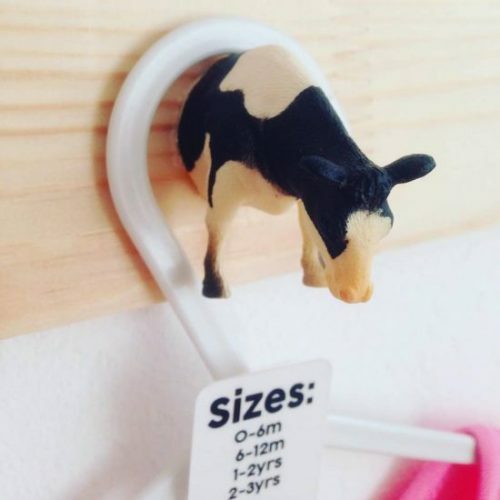 Traditional black & white cow print make it perfect for baby boys or girls. 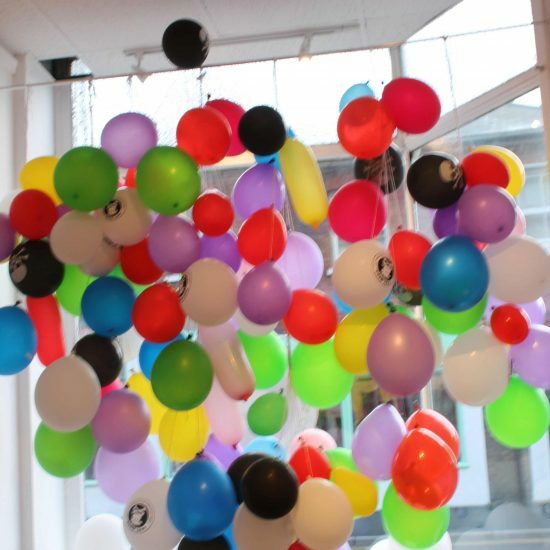 2 nickle free poppers that allow 3 size settings to grow with baby through til the toddler years. 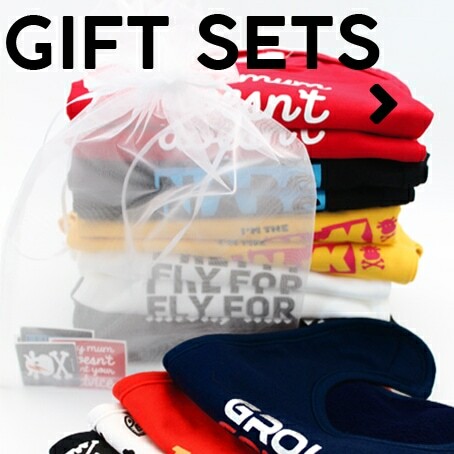 Choose from FREE UK delivery or international delivery. 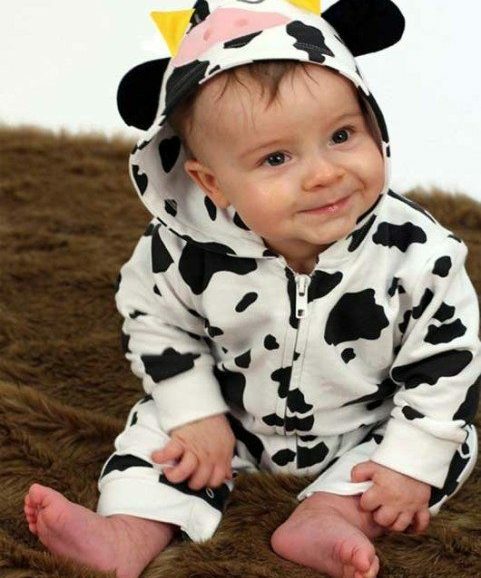 Team up with our adorable cow baby outfit. 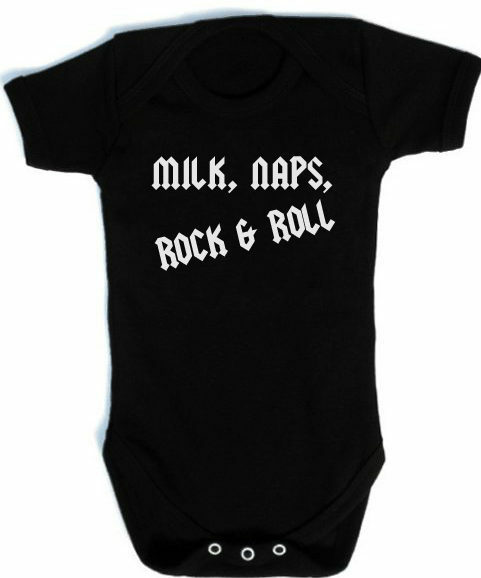 We are total suckers for a bit of beautiful typography, these white baby grows ooze style with their typography black print. 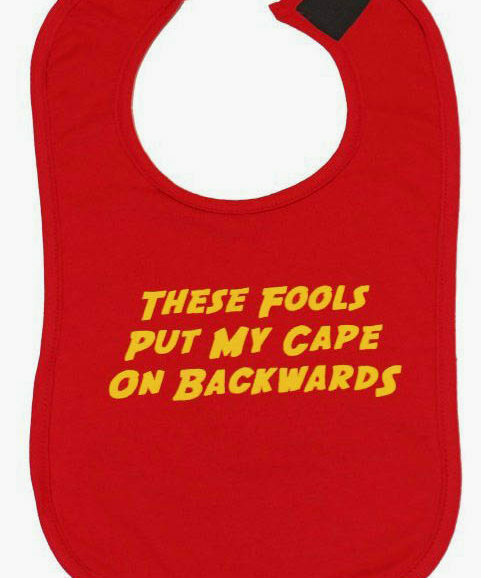 No rest for the with kid baby grow… there really isn’t, but you gotta laugh, eh? 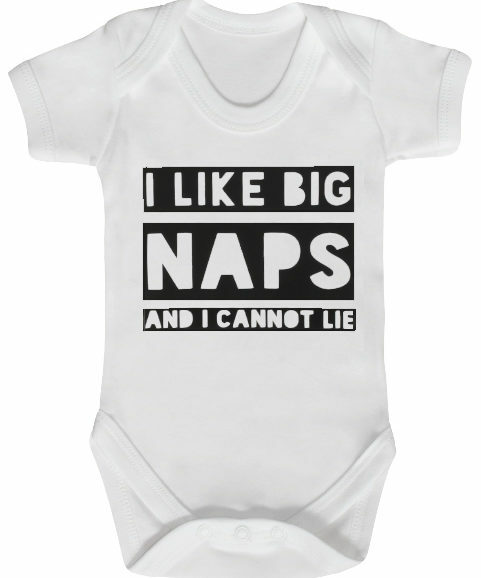 Or perhaps you’re the envy of all new parents & your cool kid actually loves to nap? 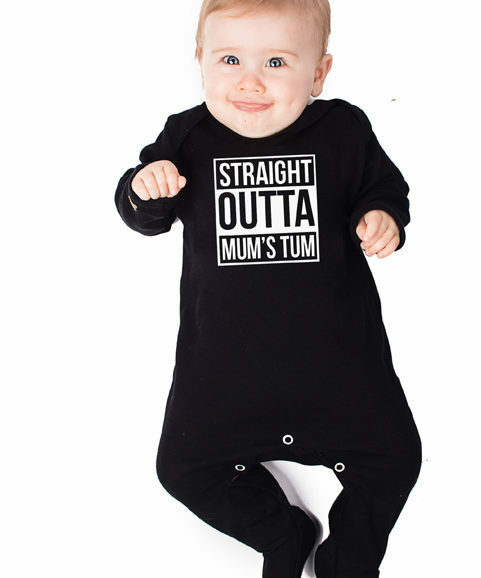 Yeah we’re jealous, make the other mums jealous too in this black & white baby grow with a clever twist of Sir Mix-alot’s song. You’ve gotta love a monochrome kids tee that you can team up with your kids jeans one day & a tutu the next right? The boy behind Baby Moo’s favourite, he has even insisted on wearing it to bed, what a stylish kid! 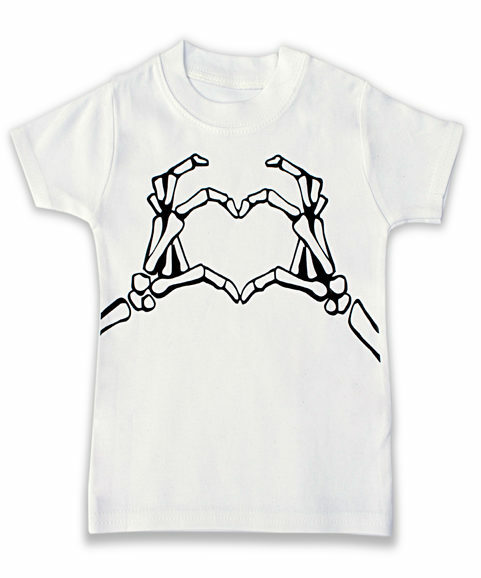 This skeleton just wants to show you some short sleeved love! 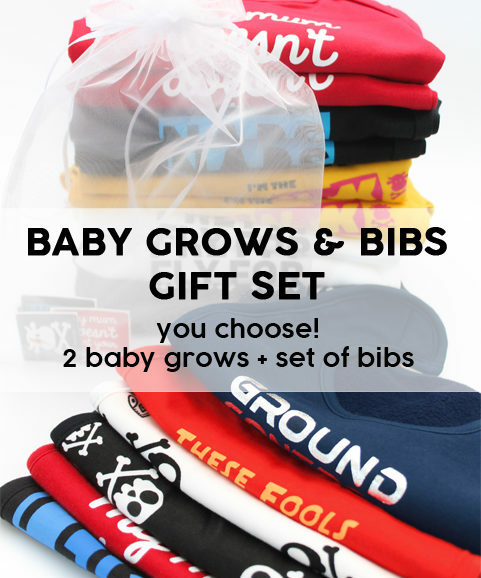 A super trendy monochrome toddler & child’s tee with a touch of alternative. 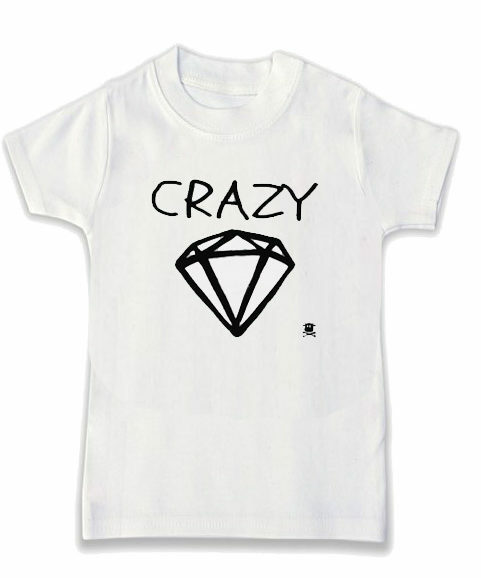 In this black & white kids t-shirt your crazy diamond can shine on & on with ease & style. 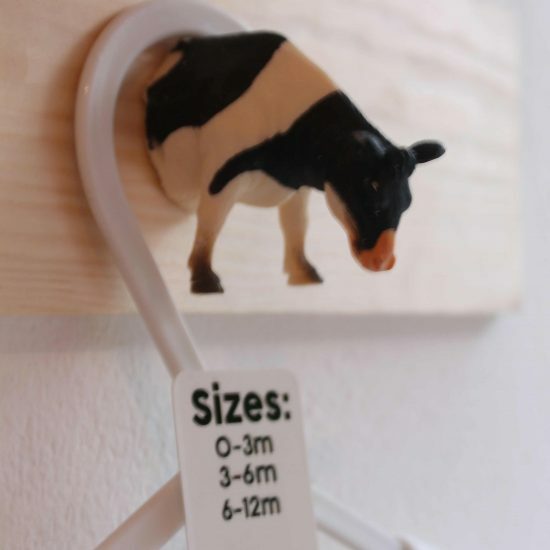 Okay, admit it, if these baby shoes came in adult sizes you’d snap them up for yourself wouldn’t you? Epic canvas baby shoes, with somewhat adorable monochrome skull & crossbones all over, I mean these children’s shoes must be the definition of cool surely? 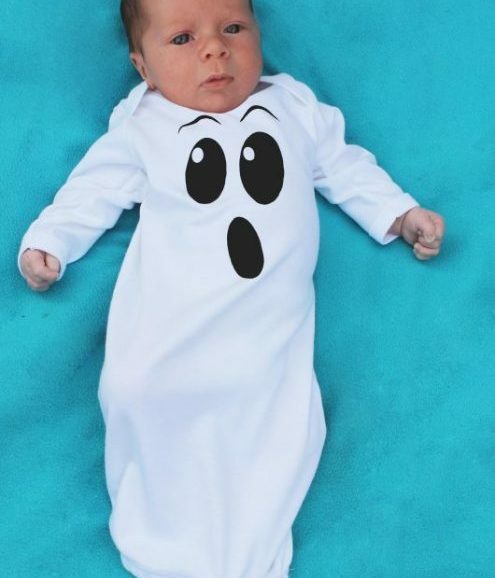 Quick as a flash you can have the coolest kid around, how? 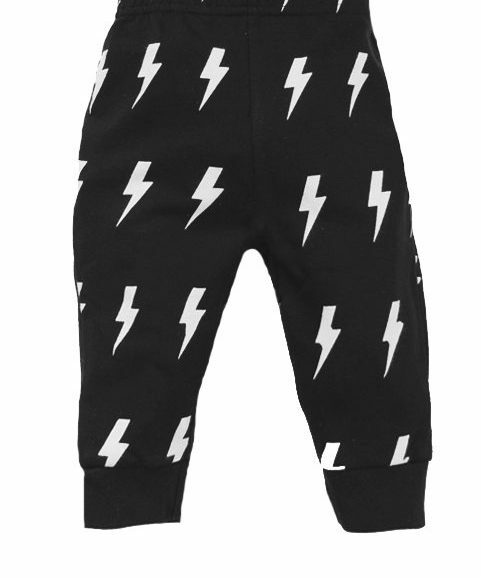 Easy peasy, just grab some of these epic lightning bolt black & white kids designs. Your child was born cool down to the bone, weren’t they? 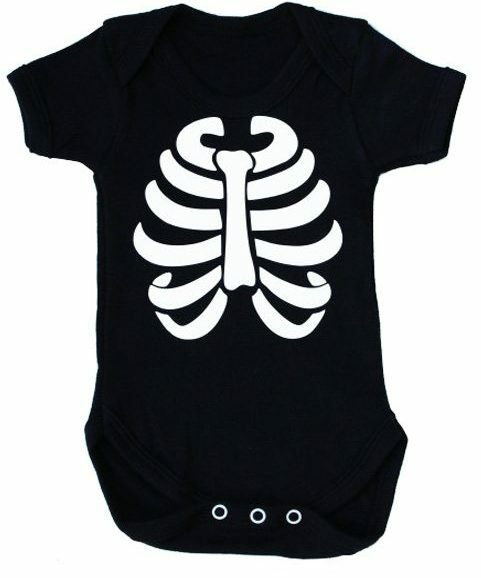 Show that they’re the coolest baby in this awesome rib cage monochrome baby vest, Personally we’d team this up with a tutu on our little girls & a attitude, we’d probably even love this skeleton print for ourselves if we’re totally honest. Y’know what they say if you can’t beat them join them, yes even at 4am! 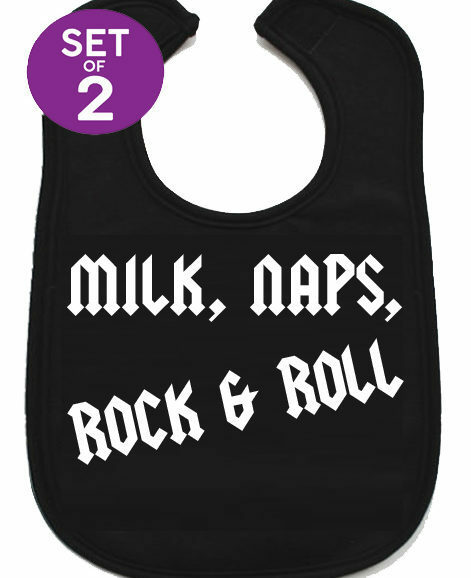 At look at these super trendy monochrome baby bibs, If you can’t pick (we wouldn’t blame you) have them all! 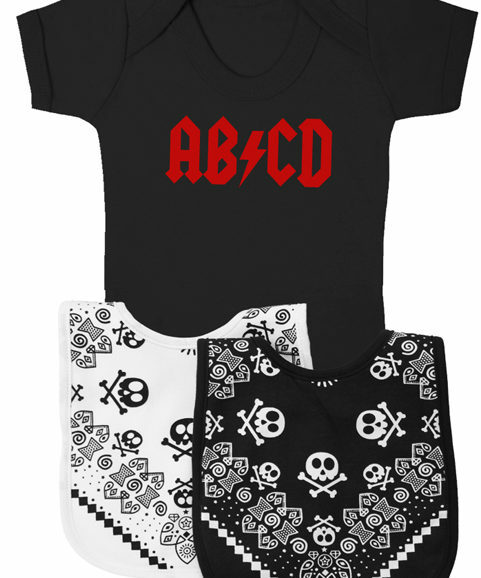 They might be a little young but they’re certainly not too young to get cool & they’ll do that with ease in this tattoo inspired baby outfits. 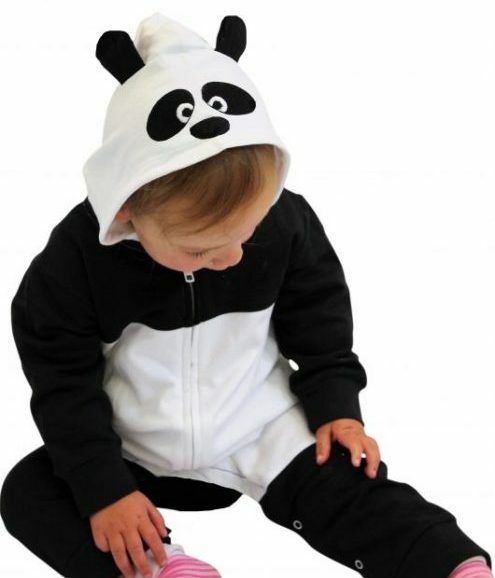 Polar bears are cute, your kid is cute… Uh-oh this monochrome baby sleepsuit is gonna cause all kinds of cuteness! 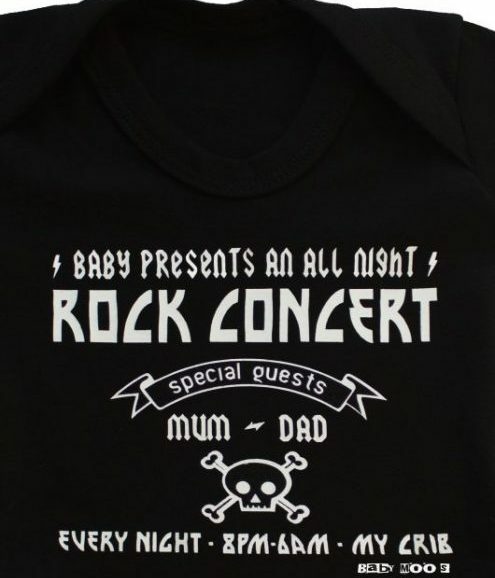 Prehaps your kid is more of a music lover? This epic DJ kids hoodie will help them look the part, soft white cotton & novelty DJ headphone print to neckline. 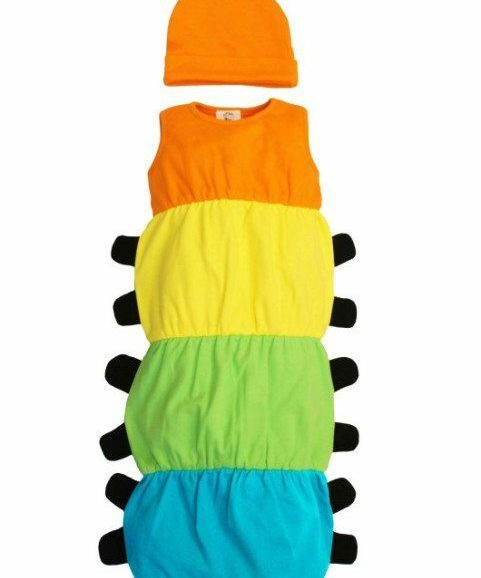 In this trendy girls dress you’ll instantly have the coolest kid at the park, 2 funky beats & she’ll be ready to DJ & dance! Awesome novelty dj headphone print around neckline. 2 cute little pockets to front to keep notes of all the freshest tracks. 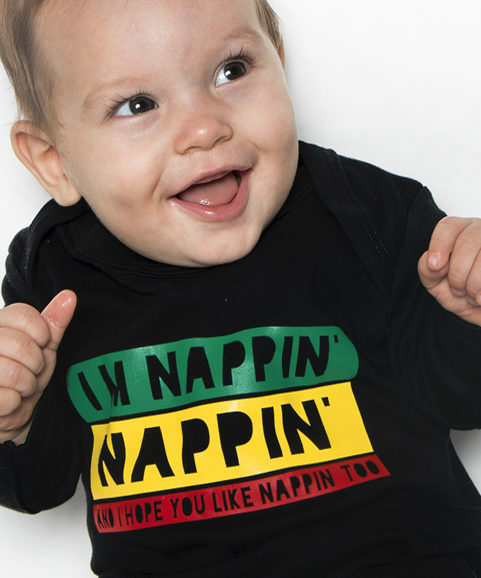 Soft easy fit cotton keeps her comfortable & tantrum free. 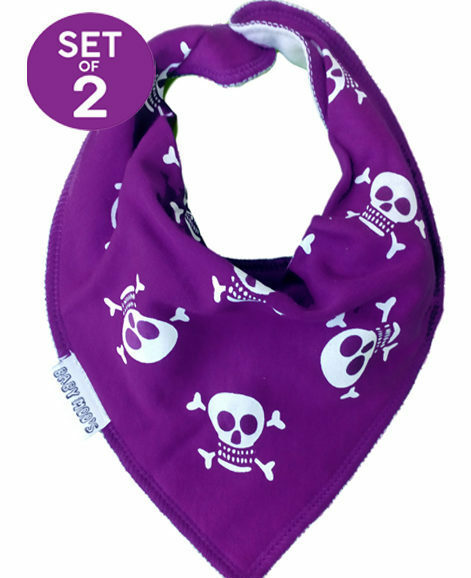 You’ll find it easy & quick to dress her, Pop it over her head & baby or toddler is ready bop to the funky beat! 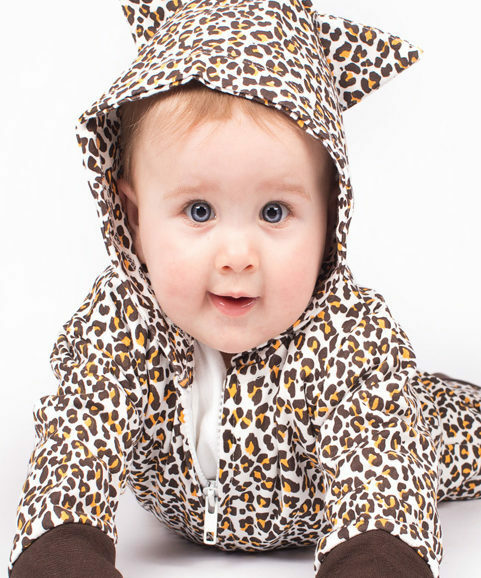 The A line design means it just keeps going & can be worn as a tunic when she grows. 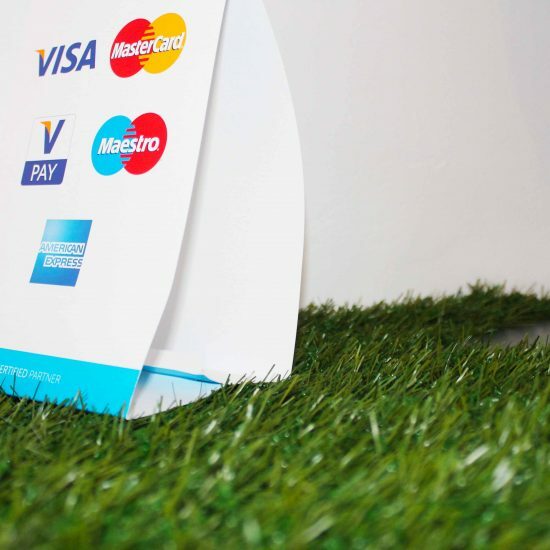 Professional print stays looking new for longer. 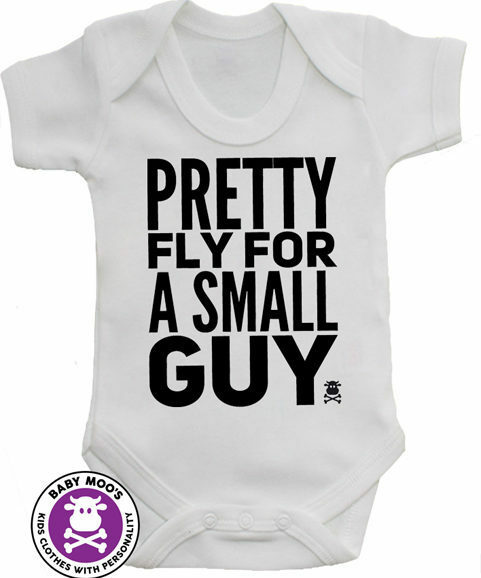 Baby & toddler sizes: 0-6 months, 6-12 months, 1-2 years & 2-3 years.